Here we are in a small town in the Gers department in South West France. 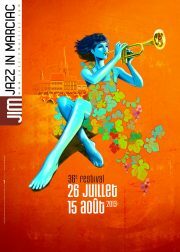 This year around 200,000 visitors are expected to descend upon the village for the Marciac Jazz festival. It sounds impossible, but it works!